Greetings Friends! 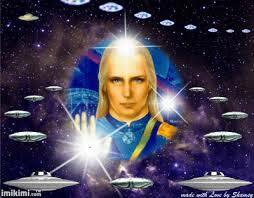 I am Ashtar, lending my voice tonight. Much is proceeding and going according to plan / schedule that I am not at full liberty to discuss. But please be assured that you are an integral part of this plan and we couldn’t do it without you. I send you my love and light and we all extend our arms and hands to you in blessing. We are watching the unfolding of events at a most rapid clip on your dear planet and to the untrained eye chaos it would seem is unfolding. But it could not be further from the truth. In a house infested with termites, you often don’t know it until it is too late, because they are hidden deep within the structure doing their work. It is when you spray that it is obvious with all of the insects scurrying about wildly trying to escape. Such is happening currently to your planet world with the higher energies and with our helpful guiding influence. The dark ones are scurrying – or trying to – and in the process they are stirring up all kinds of mischief. But be aware and be comforted that all is not as it seems and that the good is winning and the light is in full control. And so you may be feeling more of these transmutative energies streaming in and in, deeper into your lifestreams, into your bodies. It will be easier for you if you adopt a type of regular breathing and meditative practice with the intention of letting them stream into you. And in that way, you will be an even greater light receptical and shine even more brightly for the others. Come up and visit us in the ships when you are ready. We are eager to meet and greet you and offer our healing technology to you. Many of you are already up here with us in your otherworldly form. You are vast creator beings and have many forms. Remember this. All is not as it seems to you, but for our vantage point and perspective all is proceeding smoothly.